The provided industrial AC voltage stabilizer with 300 kVA rated capacity, air-cooled type, 3 phase 4-line with 175V-265V (phase voltage)/304V-456V (line voltage) input voltage range, 380V output voltage. 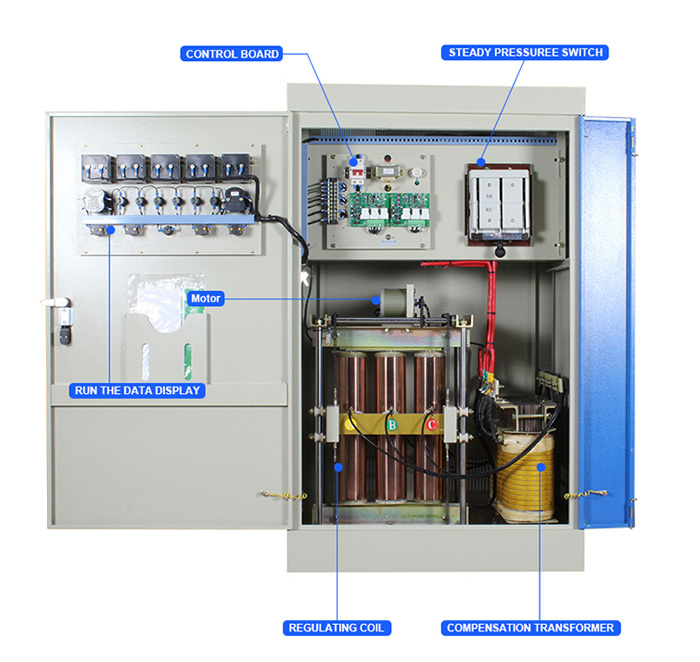 This series automatic compensated power voltage stabilizer is specifically designed for the needs of the more demanding industrial applications where the need for a more robust and virtually maintenance free solution is required. 300 kVA 3 phase Industrial AC Automatic Voltage Stabilizer is designed using latest technology support to keep output voltage stable when outside power supply network fluctuation and load change resulting in voltage waving.